Dr. Love presented GET FREE to Boston Public Schools educators and teaching artists this fall as a resource to foster cultural competency and to develop a more diverse, inclusive, and relevant curriculum to engage students of color. 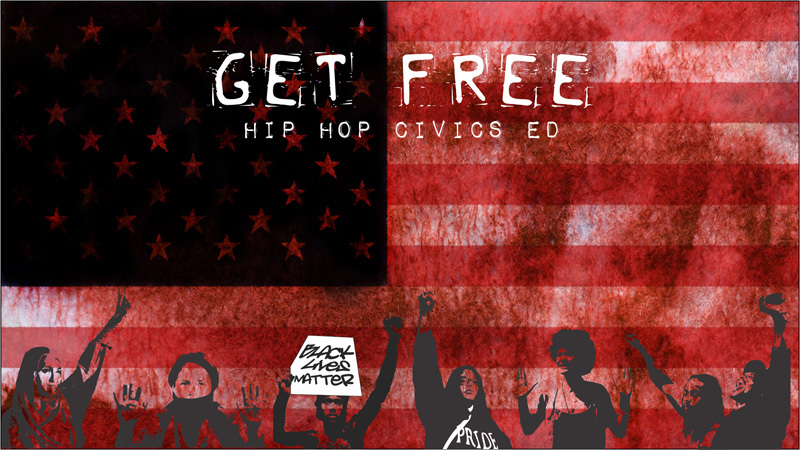 GET FREE covers resources that span music, poetry (including curated poetry by queer youth of color), literature, and art disciplines and includes interviews with local activists in select cities along with reflection questions. Articles and syllabus readers are also featured as are resources for mental health and self-care in the face of tragedy. 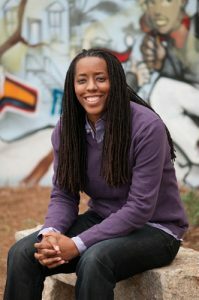 As an Associate Professor of Educational Theory & Practice at the University of Georgia, Dr. Love’s research focuses on the ways in which urban youth negotiate Hip Hop music and culture to form social, cultural, and political identities to create new and sustaining ways of thinking about urban education and intersectional social justice. Her research also focuses on how teachers and schools working with parents and communities can build communal, civically engaged, anti-racist, anti-homophobic, and anti-sexist educational, equitable classrooms.